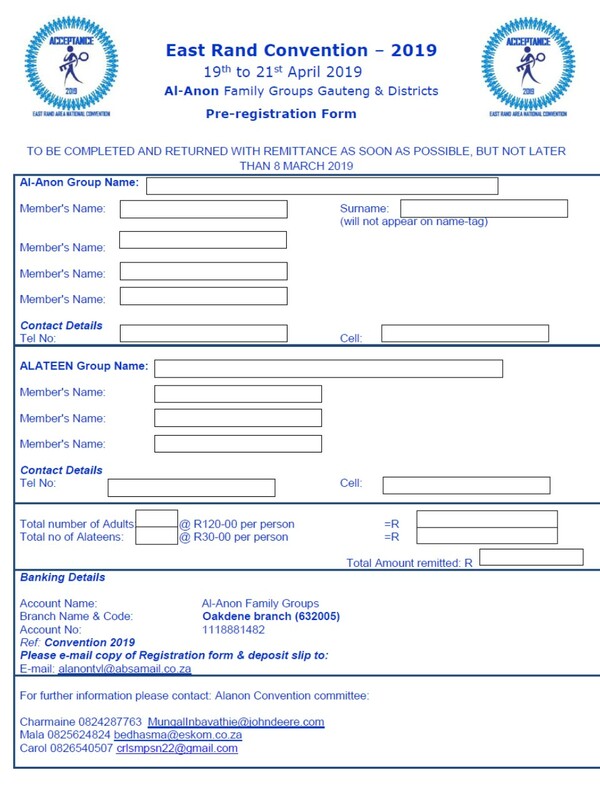 Al-Anon Family Groups East Rand is honoured to have the privilege of hosting National Convention 2019 on behalf of Al-Anon Family Groups South Africa General Service Office. We are counting down to Convention 2019 with lots of excitement! There is less than 3 months to go for the opening of Convention on the 19th April 2019. We are eager and grateful for the opportunity to get involved in service. Regular meetings are held with the A.A. committee on a monthly basis. We have an excellent working relationship with the A.A. fellowship and Al-Anon is working in cooperation with them as stated in Tradition 6. We really encourage you to pre-register. This will assist the convention committee for planning purposes. We thank Alanon PE Convention 2018 for their generous contribution of R 2003.80, which gave us a good kick-start towards the cost of Convention 2019. We are also currently busy with fundraising activities to meet our costs. We will be enjoying joint coffee/tea breaks with the AA at the same tea station.There will also be a variety of food stalls on site for purchasing of lunch and dinners. Stands will be available for purchasing the above items. Crèche facilities will be available to parents with toddlers. A list of accommodation venues is posted on the AA website; please note this listing is not exhaustive – there are Town / City Lodges and other hotel facilities close by which members can, if they prefer / choose to, access via a quick internet search. Please access the A.A. Website for the recommended accommodation list. There will be an entertainment event on the Saturday night. We are looking for local talent to participate on the programme of the talent show. You can send your interest to one of the convention committee members listed below. 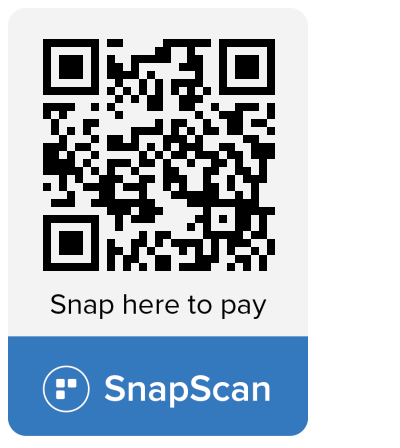 We extend a whole-hearted invitation to all current Alanon members as well as families and friends who are affected by someone’s drinking. We urge you to participate and be part of the upcoming National Convention 2019. We promise you lots of fellowship, meetings, new friendships and fun! This convention can only be a success if you are part of it. So please diarise the date and come join us at Convention 2019 – you will not regret it! April is Alcohol Awareness Month, a campaign to increase public awareness and understanding of alcoholism and alcohol-related issues. Members can take advantage of this opportunity to raise awareness about the support families can get at local Al-Anon and Alateen meetings. To participate in this public outreach campaign, members can “Share” and “Repost” the WSO’s social media posts and include #AlcoholAwarenessMonth2018, #AlAnon and #Alateen. Please remember to protect your anonymity on social media by not making comments or using screen names that would reveal your Al-Anon membership.